While the upgrade across MBN’s facilities is ongoing, Alhurra’s Dubai office was among the first to be transformed. The first thing that catches your eye as you walk into Alhurra TV’s brand-new TV facility in Dubai Media City is the vast sense of space. Although the facility has a low ceiling, the curved design of the sets, the oval rotating floors and the studio furniture create the illusion of an infinitely larger space. 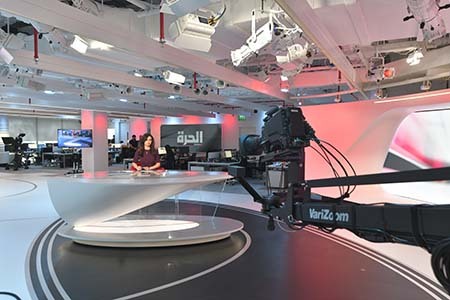 But an aesthetic studio space that can accommodate two sets with multiple configurations alongside an augmented reality (AR) set-up are only a few of the many elements that make the new Alhurra TV facility in Dubai impressive. Integrated within a tight deadline of just over three months by systems integrator Diversified FZ LLC (formerly TSL Systems), the Dubai facility boasts a Production Control Room (PCR), a Master Control Room (MCR), a Central Apparatus Room (CAR), three edit suites and a newsroom, as well as other elements critical to running a full-fledged TV station. The studio space at Dubai Media City was designed by New York experiential design firm Clickspring Design, and executed locally in conjunction with Dubai firm Zen Studios as a fabricator. Alhurra in Dubai, however, is not the only part of this massive transformation. 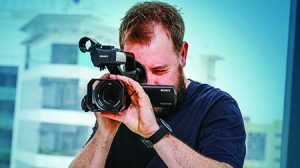 The TV station is part of the larger US government-funded Middle East Broadcasting Networks, Inc (MBN), which also includes Alhurra-Iraq and Radio Sawa, with a big overhaul in the cards for both. The network employs more than 750 people around the world, around 110 of them in Dubai. Mike Marno, VP of /broadcast Operations, MBN. 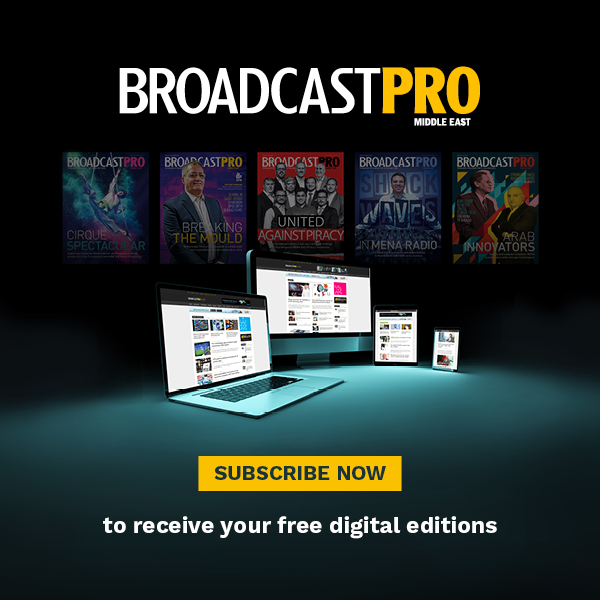 The mandate from the management at MBN’s headquarters outside Washington, DC was “to bring MBN into the 21st century”, says Mike Marno, Vice President of Broadcast Operations. 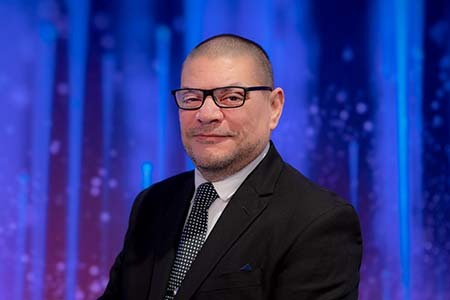 So the need of the hour was “a top-to-bottom overhaul” for the 14-year-old network, adds Nart Bouran, MBN Senior Vice President of News, Programming and Transformation. 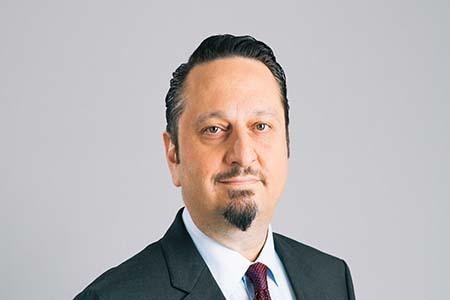 Bouran joined MBN back in April 2018 and has been instrumental in executing the network’s first-ever major transformation, along with other senior executives like Marno. Nart Bouran, Senior VP of News, Programming & Transformation, MBN. 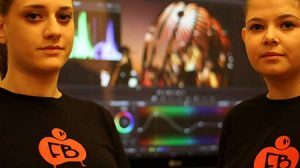 “It includes everything, from the studios, the creative side and editorial structure, to the workflows, the programming, the content and the digital platforms. Every single aspect that relates to media has been overhauled or is in the process of being so. This includes looking into the future of an industry that is evolving and changing. 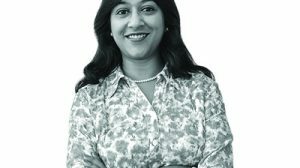 It’s not just about overhauling the current status but also looking to see what is around the corner and anticipating trends,” Bouran explains. On the technical side, Marno and his team got cracking. “The initial step was to bring MBN up to current and common technology standards (i.e. 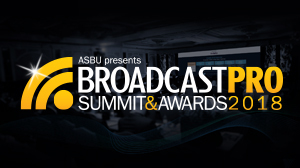 HD/SDI), subsequently upgrading to the use of future-facing technologies that will be prevalent in the next five years, most specifically in a broadcast news context,” says Marno. In Dubai, this studio refresh included putting in four new Sony HD studio camera systems and LEMO fibre transmission (HXC-FB80HL//U), as well as Grass Valley vision mixers, hybrid routers and associated processing gear, a Sennheiser 9000 wireless microphone system, an SSL audio console using the Dante protocol and others. The ceiling boasts an array of LED lights that keep the studio cool, keeping power consumption low. 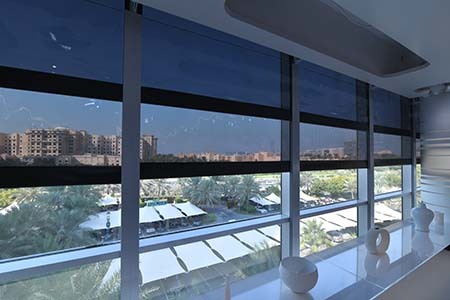 The studio windows are fitted with two layers of ND filtering to control light and exposure levels depending on the need of the hour for a programme, or even removing the filters to reveal a spectacular view of Dubai. Jafer Khalil Ahmad Al-Zubi, Executive Producer, Alhurra, Dubai. Jafer Khalil Ahmad Al-Zubi, Executive Producer of the Dubai facility, takes us on a tour of the station, demonstrating the tapeless nature of the production gallery and how the lights and colours in the studio are controlled through an ETC lighting console in the PCR. The ETC system allows MBN to enhance the audio-visual quality of the facility. The newsroom itself is divided into different areas where reporters and editors package news for broadcast. “Each editor is self-sufficient in putting together an entire news package once the news arrives at their desk. All the material from our reporters and wire agencies is brought here, where it is prepared with audio, video, script and graphics. One writer can create the whole news package,” explains Al-Zubi. The tour takes us briefly into the CAR room, which provides a glimpse of many racks of servers, including but not limited to Dell, as well as the servers for the NRCS and BitCentral systems. The edit suites are equipped with Adobe Premiere and the technical facility is outfitted with Lund Halsey furniture. A walk through the facility makes one thing clear – the channel is self-sufficient. “We have at least 110 people here, half of who are technical experts while the other lot include editorial staff and the operations team. All the expertise we need is available in-house. 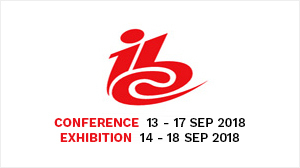 We have experts for our Autocue and Vizrt solutions, a Director of TV, editors, lighting experts, a crane/jimmy jib operator, new anchors and more. We had fabulous coverage of the last elections in the US, which highlighted our AR capability. Now we intend to bring that expertise to Dubai,” Al-Zubi explains, adding that the AR functionality is being provided by Vizrt. Since unveiling its new look a couple of months ago, Alhurra has been making gradual announcements. For instance, its reporters will be using bonded cellular technology extensively in the field for real-time reporting. On the tech front, the channel confirms that its viewers can move seamlessly from linear screens to mobile devices; during specific news bulletins, they can watch the same story without rotating their devices. Marno agrees that the team has just gotten started and there is plenty left to accomplish. “We went from a truly legacy technology, SD/SDI, into a hybrid of SD and HD/SDI, and we are not quite fully and completely HD/SDI globally yet. That will be part of the migration going forward. What we did initially was build a bridge to get us from SD/SDI into an HD architecture. We have refreshed all of our ENG kits and we’ve added bonded cellular technologies for newsgathering. We have changed infrastructure, added new gear and built out the capacity of existing infrastructure, in order to support the current level of editorial content. 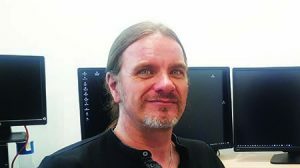 Going forward, everything will be replaced holistically, in a unified fashion,” he says, adding that the plan is for all of the most relevant current technology, including cloud, IP and centralisation, to be deployed over the next three years. The studio sports two layers of ND filters, which control light and exposure within the studio as required. While the technology refresh has been ongoing in phases in different parts of the world, with Springfield and Dubai the first to be overhauled, fresh new programming is also being revamped in parallel. “There is an Alhurra presence at different levels across the region, including Beirut, Cairo and Jerusalem, in addition to representation in all major Arab cities. Just outside of Washington, DC remains our main HQ, where the management and the bulk of our staff are located. We broadcast 16 hours daily from there,” explains Bouran. 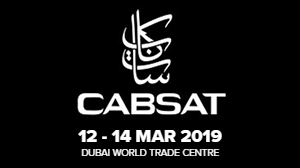 The Dubai facility has also upped its editorial game, with seven hours of programming now originating here daily, as opposed to three in the past. Alhurra’s morning show is hosted in Dubai, as is a weekly Gulf-based talk show called Gulf Talks. The programmes Debatable, Free Islam and Forbidden are hosted in Beirut. One of MBN’s largest operations is based in Iraq and mainly services the Alhurra-Iraq channel. The network’s offices in Baghdad produce daily and weekly programmes for this channel. The overhaul expanded to every part of the network, calling for a whole new anchor line-up, and echoed throughout the newsroom with a major restructuring of roles and duties and some roles being made redundant. “We have added new positions while additional skills were introduced. Moreover, a new newsroom was created in Dubai that required whole new staffing,” explains Bouran. When we sceptically query if being funded by the US government could potentially skew the channel’s news agenda, Bouran points out that Alhurra means ‘the free one’ and that the channel has remained true to that name. 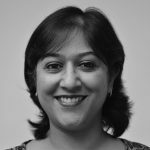 “In fact, we are able to talk about topics in ways other media organisations are not able to; we are able to ask the tough questions about the regions and have views that might not suit everyone. In these times of deep media polarisation in the region, we see our role in providing fact-based content as extremely crucial,” he explains. So far, the primary impact of the transformation has been on Alhurra’s linear presence. Bouran and Marno state that in parallel to continuing the technical migration, the team is also revisiting the network’s digital strategy. “When we talk about MBN’s transformation, it includes all platforms. 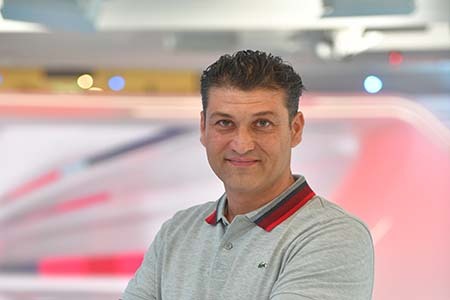 As well as an initial revamp of our digital platforms and launching the new ElSaha, cross-platform promotion and content-sharing is a vital part of our strategy,” says Bouran. The VP is referring to MBN’s November 2018 launch of ElSaha.com (Arabic for ‘public arena’) and its corresponding social media outlets. ElSaha is a digital channel that targets Egyptian youth, both living in Egypt and abroad. The channel provides a platform for them to speak out and have their ideas heard regarding the most relevant issues in their lives. It focuses on expanding horizons and exploring new ideas, as it incorporates the diversity of the Egyptian voice. 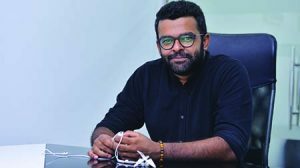 “It’s clear that digital consumption is different from linear TV and finding the balance between the two is very important. We have a very robust digital strategy moving forward – more than what has been introduced so far – that addresses visual storytelling and dissemination of that content,” Bouran adds. With the initial changes having been made in both MBN’s headquarters and Dubai, the network is looking to turn its attention to its Baghdad office. “Basically, all the platforms globally will undergo change. In parallel, we are also looking at centralisation. The architecture for that centralisation is under discussion and is driven by editorial requirements for newsgathering and contribution which are still in flux,” concludes Marno.